Visit Mesa invites you to experience Mesa for yourself and discover our in-demand City Limitless® destination for your future meeting or conference. Time is a valuable commodity and this tailored SITE & SEE itinerary will maximize your limited time to check off all the must-haves on your planner checklist. This experience will showcase Mesa’s newest venues, connect you with the right contacts, and ensure you have all you need to make an informed decision. We’re totally serious, because our time is valuable too! Oakland A’s vs. Chicago Cubs MLB, Spring Training Game at Mesa’s Sloan Park. This will be amazing, you won’t want to miss it! 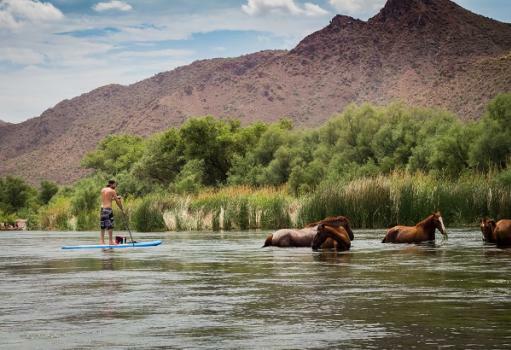 Arizona Outback Adventures – Guided River Rafting on the Salt River. Take in absolutely stunning views, wild Mustang horses and bald eagles, definitely a MUST SEE! Shen Yun at Mesa Arts Center, the crown jewel of the Southwest and the heart of downtown Mesa – recently spotlighted as #8 of The Best Places to See Live Music and voted Top 200 Theatre Venues Worldwide. You’ll want to check this out! Local, authentic Southwest food & beverage, from craft beer to original eats that are noted as “Best in Phoenix,” join us for the best grub in the Valley and the most talked about farm to fork experience, Mesa’s Fresh Foodie Trail®! Details: Our Mesa, Arizona Site & See Tour experience will include hosted airfare, hotel accommodations, destination experiences, meals and transportation. RSVP by clicking on the button below, by Friday, 1/25/2019. RSVP early, seats are limited. Receive Visit Mesa attendance confirmation via email. Book your airline flight. Visit Mesa will reimburse your flight cost via check payment upon your arrival. Flight must be booked as an economy class ticket and baggage fees (all other ticket status&apos; do not qualify). Airport: Phoenix Sky Harbor International (PHX). Submit your flight itinerary with receipt of payment to Jennie@VisitMesa.com. Complete the Profile Request forms and General Release form (upon your RSVP, these docs will be sent to you in a separate email, via DocuSign). This information helps to better plan for your arrival and Mesa Site & See Tour Experience. A pre-arrival Site & See Tour packet with airport transportation, hotel confirmation and itinerary, will be emailed to you in January. We look forward to your arrival to Mesa, Arizona, City Limitless®! The most attractive pricing support program in the Greater Phoenix Valley – your program may qualify for our Visit Mesa City Limitless® group incentive! 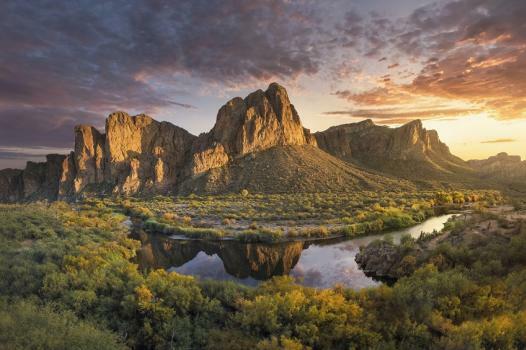 Explore Mesa , Arizona…City Limitless®!